This 1999 W 1 oz $100 Platinum American Eagle Proof Coin NGC PF 69 will make an excellent addition to any collection. 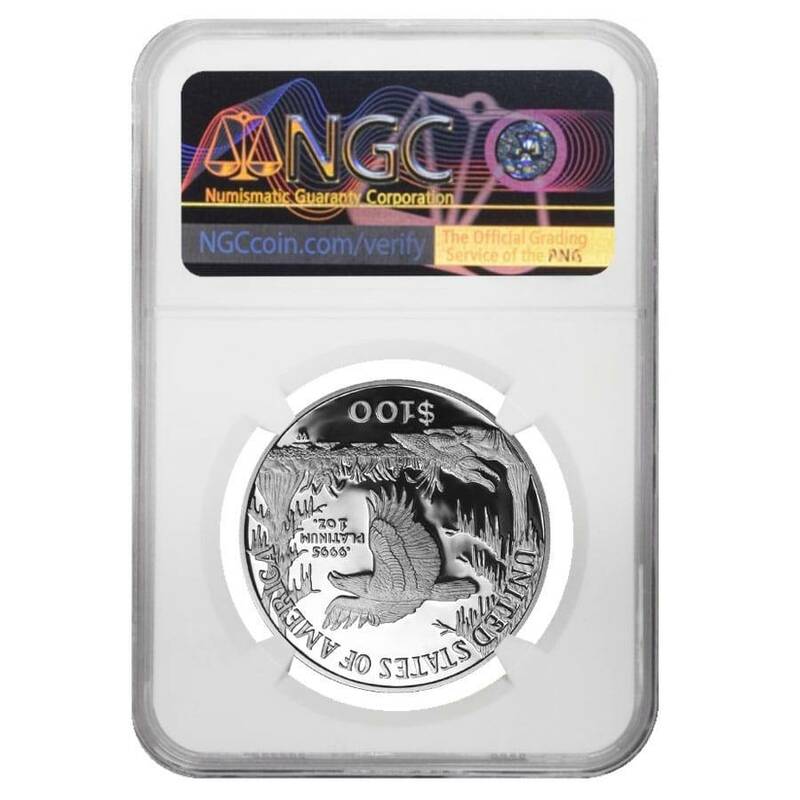 The coin is graded a near perfect Proof 69 by NGC. The obverse features John Mercanti‘s design of the Statue of Liberty gazing confidently forward, a symbol of freedom and opportunity, wearing her seven-point crown with her right arm rising above her. 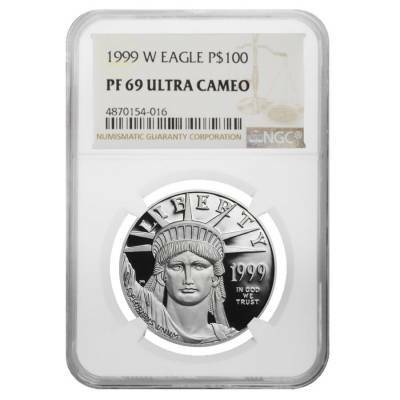 Inscriptions include "LIBERTY," "IN GOD WE TRUST," "E PLURIBUS UNUM," and the year of mintage. The reverse displays an eagle flying over a swamp. Inscriptions include the metal, weight, purity, and the denomination. With this purchase, you earn 1193 Bullionaire Bucks 1193 BB = $1.19. For every $1 spend, you will earn 1 Bullionaire Buck which is equivalent to $0.001 off a future purchase. 1193 BB = $1.19.